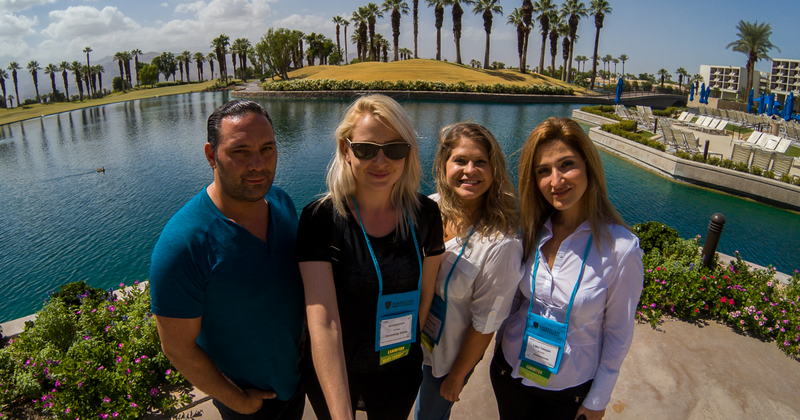 The sun was hot, but the air conditioning and convivial atmosphere inside the JW Marriott Desert Springs Resort helped make the 2018 American Agents Alliance Convention and Expo a roaring success. Phonexa was proud to be an Elite Sponsor of this year’s convention, which took place from September 20-23 in Palm Desert, CA. We were especially thrilled to sponsor the Annual Alliance Golf Tournament, which gave the Phonexa team a great chance to meet some of the fairway competitors who did their best to sink birdie putts in the desert heat. Inside on the exposition floor, the team got to share the benefits of our all-in-one platform for ROI-driven marketing, especially as it could help our friends in the insurance industry. Those who stopped by our booth were treated to an informative introduction to our platform that features call tracking, web lead generation, email marketing, and cloud-based accounting (visitors were also gifted a few choice pieces of Phonexa swag). Those who had time for a meeting sat down with our business development experts to learn more about how Phonexa’s platform offers robust advantages to insurance marketers. For anyone who didn’t get the chance to connect with our team one-on-one, you can still reach out to schedule a live demo with our experts today to learn more!